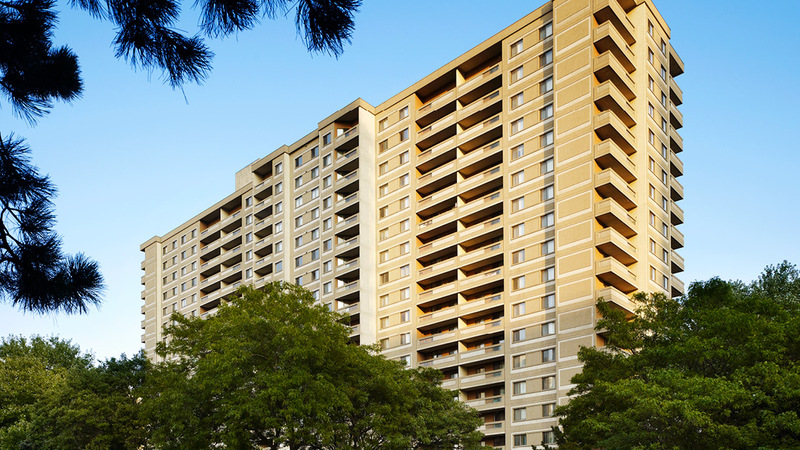 The Elmwoods: Enjoy a prime location in the lush Mississauga Valley. This rental community exudes a modern charm. Air-conditioned suites are spacious, offering ample storage for your wardrobe and more. Overlooking parkland and the manicured, professionally landscaped grounds, large windows and balconies feature gorgeous panoramas. The community offers added luxury appeal with upscale amenities such as tennis courts, a fully equipped fitness centre, saunas, putting green, barbecue area, nature trails, guest suite and a party room.